How to enjoy the Sundance Film Festival when it’s not your primary reason for being in town. (This article was published By “Park City Magazine” and written By Michaela Wagner 1/18/2019.) “For the marathon-movie-goers and celebrity stalkers who plan their visit to the Sundance Film Festival months in advance, it might be surprising to learn that plenty of people end up in Park City at the same time as the festival without evening realizing it. If you’re in the latter category and want to sample a little of what Sundance has to offer, here is a little advice”. Sundance is all about film and you should definitely try to catch at least one screening. Thanks in large part to the high volume of parties at the festival (particularly during the first half of the festival), it’s much easier to get tickets to early morning and late night screenings. There are plenty of screenings to choose from in the pre-10 a.m. category when many festival-goers are still recovering from the prior night’s festivities. Individual tickets for the general public will be on sale January 22 through February 3 online and must be picked up at one of the box offices in Park City (136 Heber Ave), Salt Lake City (700 East 500 South), and Sundance Resort. While watching movies is top priority for most Sundance festival goers, there are certainly those whose main goal is spotting A-listers around town. If you’re into it, we recommend wandering Main Street, which serves as the epicenter of the fest. Big names with film screenings this year include Emma Thompson, Jake Gyllenhaal, Daveed Diggs, Mindy Kaling, Olivia Colman, Keira Knightley, Rashida Jones, Julianne Moore, Michelle Williams, Zac Efron, Lily Collins, Adam Driver, Shia LaBeouf, and Naomi Watts—just to name a few. Some of the most cutting-edge storytelling at Sundance is in the virtual reality sector and we guarantee you won’t regret a visit to the exhibit at The Ray/The Box (1768 Park Ave). Experience the latest in augmented reality, new media, artificial intelligence, and more. Like films, entry into this area requires tickets. Note: festival credentials are required for New Frontier Central and New Frontier After Hours. 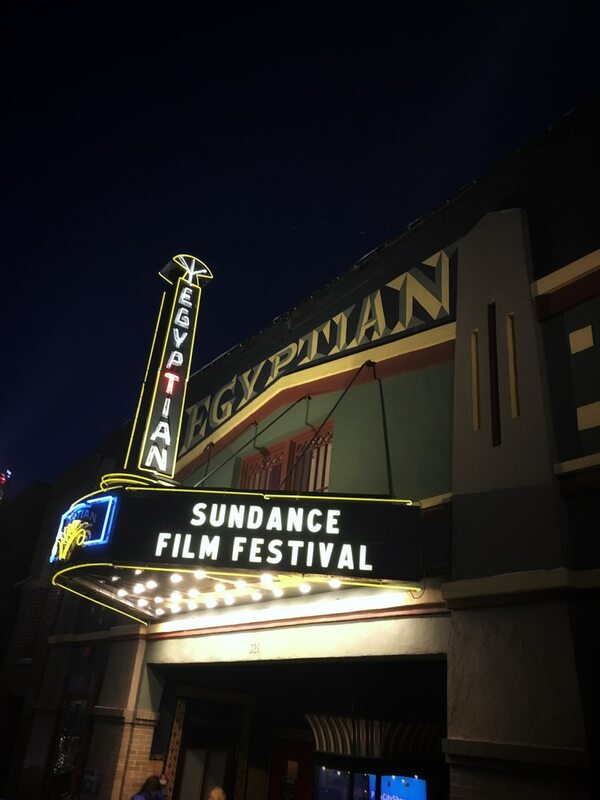 Credentials and invitations are a necessity for many areas of the Sundance festival, but plenty of the event sponsors are more than happy to welcome any passersby into their venues. Here you’ll find a diverse range of activities and daily programming from discussions and panels to live music, food, and, of course, weary festival goers looking for a place to warm up and catch some z’s. Although it’s not a total necessity, the official 2019 Sundance Film Festival app is helpful for navigating the fest, especially if you want a quick glimpse of what’s going on. In addition to intel on venues and how to get around, the app allows you to sort through films by title, category, date, and location, join the e-waitlist for screenings (opens two hours in advance), check out what’s happening at venues, and more. Sundance recognizes what a hassle the festival creates for locals just trying to get to work on time. To make up for it, they offer Townie Tuesday (Jan. 29) and Best of Fest (Feb. 4) screenings. Townie Tuesday is only open to Summit County residents while all Utah residents can take advantage of Best of Fest. Photo ID is required. For the marathon-movie-goers and celebrity stalkers who plan their visit to the Sundance Film Festival months in advance, it might be surprising to learn that plenty of people end up in Park City at the same time as the festival without evening realizing it. If you’re in the latter category and want to sample a little of what Sundance has to offer, here is a little advice. While watching movies is top priority for most festival goers, there are certainly those whose main goal is spotting A-listers around town. If you’re into it, we recommend wandering Main Street, which serves as the epicenter of the fest. Big names with film screenings this year include Emma Thompson, Jake Gyllenhaal, Daveed Diggs, Mindy Kaling, Olivia Colman, Keira Knightley, Rashida Jones, Julianne Moore, Michelle Williams, Zac Efron, Lily Collins, Adam Driver, Shia LaBeouf, and Naomi Watts—just to name a few. Credentials and invitations are a necessity for many areas of the festival, but plenty of the event sponsors are more than happy to welcome any passersby into their venues. Here you’ll find a diverse range of activities and daily programming from discussions and panels to live music, food, and, of course, weary festival goers looking for a place to warm up and catch some z’s.